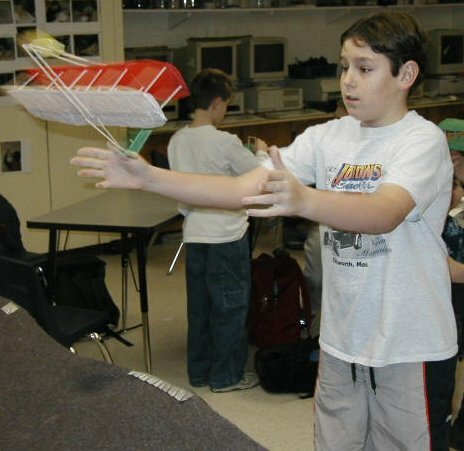 Over a period of 12 years, Orono Middle School has involved sixth grade students in aerospace educational projects that go way beyond the state's educational standards. 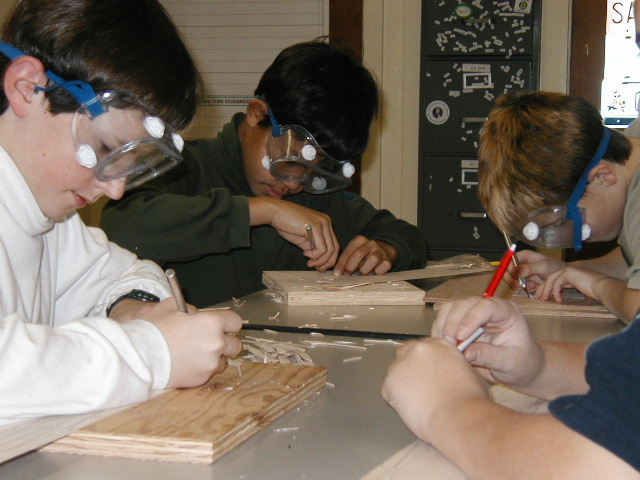 Since 1991, under the guidance and direction of two educators, Richard Glueck and Christopher Chilelli, sixth graders have annually combined their math and science skills to reproduce full-size replicas of the shuttle flight deck, the Mercury and Gemini spacecraft, two Apollo EVA suits, the M2-F2 lifting body, flying copies of several Wright and Chanute gliders, the Ritchel 1896 bicycle powered airship, and a hot air balloon. 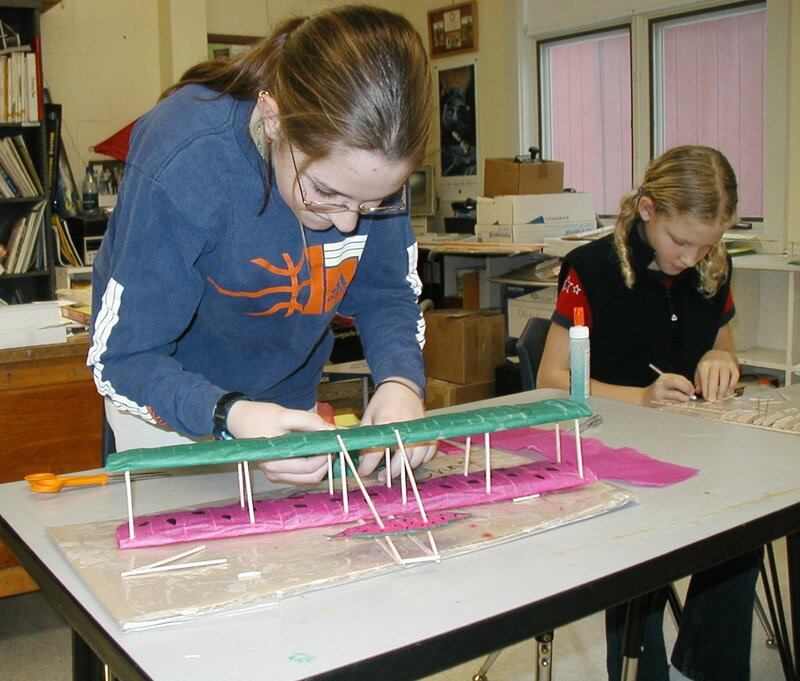 Before any of the full-scale replicas could be undertaken, the students had to learn about and understand construction and engineering concepts as they relate to modeling. What follows is a description of the modeling process that was used to build a replica of the Wright 1902 glider constructed in honor of the upcoming 100th anniversary of powered flight that will take place in 2003. To set up the program, a drawing of the air or spacecraft being modeled had to be obtained. The teacher obtained information by searching through museum resources, libraries and the web for appropriate guidelines. One resource that was be very useful was the World War I Aero Magazine. The plans for the Wright brothers¹ 1902 glider were obtained from the web at: http://www.first-to-fly.com/Adventure/1902plans.htm. These particular plans are very complete and only required a bit of editing to make them 6th grade user friendly. The first step in the educational plan to build the Wright brothers 1902 glider was to have the students copy three views of the aircraft; one in profile, one from the top down, and one face-on. 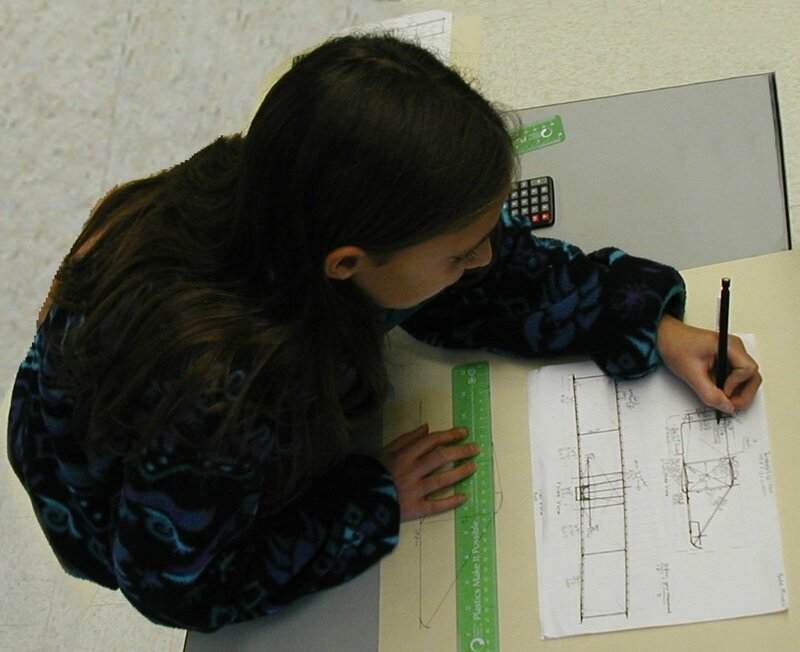 The measurements on the original plans were eliminated via correction fluid and the students were challenged to use historical photographs of the Wright 1902 glider in flight to determine its actual measurements and then establish a scale for drawing the glider. Certain clues, such as the average height of people in the pictures, allowed students to come up with sensible measurements. The students estimates were discussed in class andcompared to the actual measurements of the 1902 glider. This approach is similar to the techniques some aviation historians use when recreating the Wright gliders. Actual measurements of some of the Wright gliders is not available because they were used as fuel for the Wrights wood burning stove at the conclusion of their experiments!